My all-time favorite desert is banana cream pie. Ever since I was a kid, if I had the choice of any desert I wanted, I chose banana cream pie. I didn’t know there was an official Banana Cream Pie Day – but apparently, there is, and I’m ready to celebrate! To help me celebrate my new favorite day, Krispy Kreme has introduced a limited edition Glazed Banana KREME Pie treat. I received the new Banana KREME Pie for review. I love Krispy Kreme’s glazed pies and was so excited to try this new flavor. It didn’t disappoint! The classic glazed crust is delicious as always and the filling has a fantastic creamy banana taste. It was a wonderful treat – my husband and I both enjoyed this little indulgence. 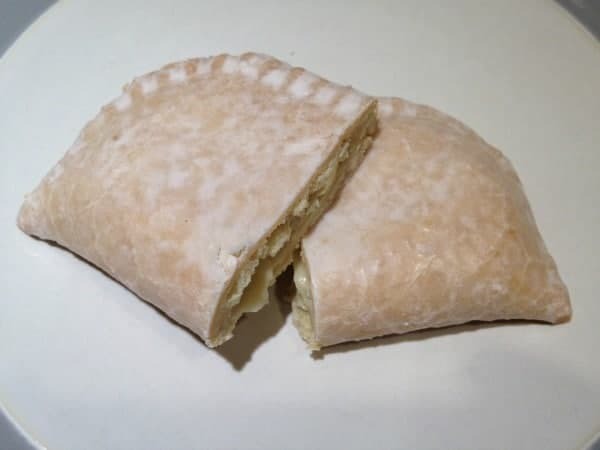 The Banana KREME Pie is available for a limited time at participating grocery and mass merchants where Krispy Kreme items are sold with an MSRP of $1.09. To add to the celebration fun, follow @KrispyKreme on Twitter, and tweet them using the hashtag #BananaKreme throughout the day on March 2nd and be in the running to win some sweet treats! Headquartered in Winston-Salem, NC, Krispy Kreme is an international retailer of premium quality sweet treats. Since its founding in 1937, they have offered the highest quality doughnuts and coffee. There are over 730 Krispy Kreme locations worldwide as well as approximately 10,000 grocery and mass merchant stores that carry Krispy Kreme treats. You can learn more about Krispy Kreme, and the yummy products they offer, on their website. You can also catch up with them on Facebook, Twitter and YouTube. I cannot find Krispy Kremes in my area but my girlfriend sends them to me. I love them. Can’t get them here.. I wish I could they are FABULOUS!! Yum! I had no idea Krispy Kreme made this. I’m a huge Banana Cream Pie too! These look so good. I never even knew they made these. I will have to give them a try. I bet these are very good! I love Banana Cream Pie too so I am looking forward to the chance to get some of these for me and the grandchildren to try out for our treat soon. i love Krispy Creme, these look like the old school pies by hostess! We have one Krispy Kreme doughnut shop here where I live. 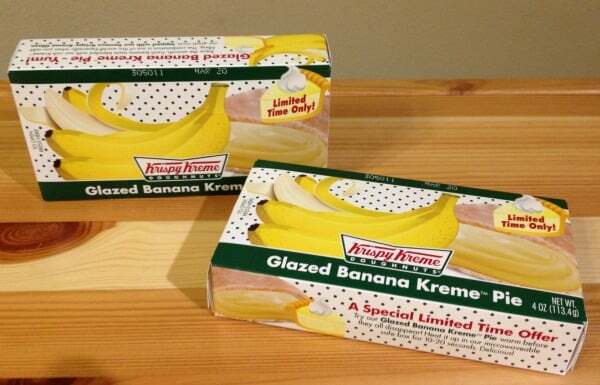 These Banana Kreme pies look so delicious. I will have to look for them when I go to the store tomorrow. They are a great deal on these! Oh my goodness! This is definitely a priority must try for me. my husband loves banana cream pie. I’m sure he would like these also. i have never seen these and wish I could find them somewhere banana cream pie is my favorite! There are no Krispy Kremes in my area or sold in my area grocery stores but they look delicious. I like the glazed pastry as you mentioned it adds a little something unique to an otherwise usual Banana Cream pie. That is a good price for this item, too.